I thought I would kick of our fun corner series of articles by doing a review of a fun family toy that my kids and me play on a fairly regular basis. 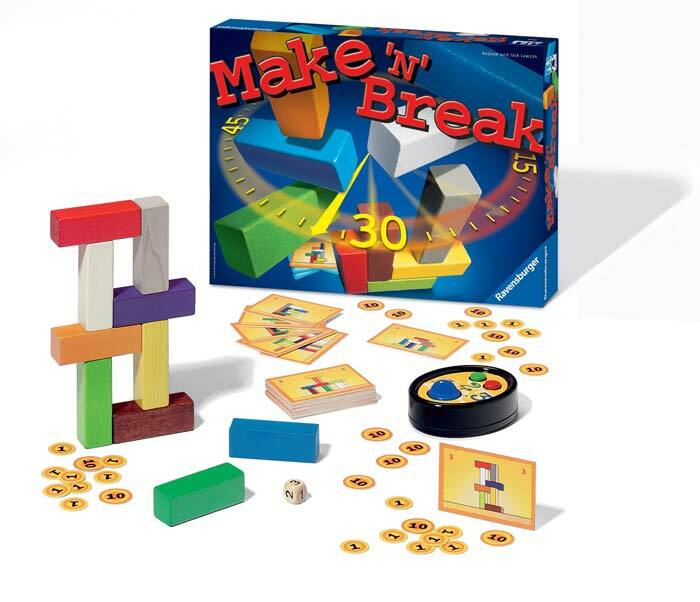 It’s the Make ‘N’ Break toy by Ravensburger. It’s a set of blocks similar to lego, only instead of using them in free form play, you need to create shapes that are assigned by cards. Game can be played by kids ages between 6 and 12. Each game set has 10 building block, 60 counters, 80 building cards and a timer and a dice. Goal of the game is to get a shape assigned to you by drawing a card from the deck. You then need to use the blocks in order to create the shape from the card. Some of the shapes on the card are easier to do and some can be quite difficult. Goal is to create the shape faster than the other players do. That’s the basic gist of the game. As the kids got more skilled in the game, I made it more of a challenge by making them use chopsticks. I got the idea from an online article. I also used chopsticks, just to clarify. Anyway if you’re looking for a game to play with your kids, then Make ‘N’ Break is definitely your thing.